The SmallHD 502 on-camera monitor features a Full HD, 1920x1080, LCD display, with a pixel density of 441 PPI. The 502's LCD display is able to produce 85% NTSC Color Gamut (greater than the REC. 709 color standard), rivaling the color capabilities of OLED technology. The monitor supports HDMI and SDI inputs and outputs, and cross converts between them. You can apply a 3D LUT to the monitor and still view your video in real-time. The configuration system, Pages, allows you to create and store up to 8 presets. Presets can include focus aids, exposure aids, camera metadata, 3D LUTs. Once created, you can navigate between the presets merely by swiping the built-in joystick. You can see up to three presets displayed on the screen at the same time as you swipe between the presets, which is different than having to engage a menu system and trying to remember what the name of the preset means. You can see the effect of your configuration on the video. Box Dimensions (LxWxH) 6.9 x 4.6 x 2.0"
502 HDMI & SDI On-Camera Monitor with 3D LUT Support is rated 4.4 out of 5 by 19. Rated 1 out of 5 by Anonymous from Buggy I have owned this monitor for almost a year and it has never worked properly. I use it on my Alexa Mini and every time the signal drops for a second with a setting change or playback the monitor freaks out. It stretches the image and interprets the footage at strange frame rates. I sent mine back to get fixed as I was told it was a hardware issue. I replaced the device with a 702 and the first camera I used it on which was not mine it did the exact same thing. So now I have two monitors that don't work properly, until this problem is fixed I wouldn't recommend either the 502 or 702 to anyone. Rated 4 out of 5 by trudd from Powerful tool, small package This falls into the category of must own gear. The features are extensive, especially if you deal with LOG gammas. The 502+Sidefinder pair very well with the FS7 as a viewfinder replacement. I used to carry a TV Logic 5.6 monitor with me to every shoot. This has replaced that monitor as my must have tool, though I will say it is not as well built as the TV Logic. The SDI ports are not reinforced (any tension goes straight to the internal circuit board instead of a threaded nut) and the rubbery finish will get dinged in moderate production environments. That said, it's the only monitor to offer as many features as it does at this price point. Rated 2 out of 5 by Valery from Unreliable monitor I use this monitor with a Blackmagic camera 4K less than one year. I've used monitor very gentle, but the SDI connector has broken. So I can not work with the monitor.In my opinion, the reason of breakdown is a constructive error. The SDIconnector is not designed for heavy usage.The support service is very slow. I will not recommend this monitor to friends and colleagues. Rated 5 out of 5 by Rick from Great Monitor This monitor has been nothing but a pleasure to use. Having full 1920x1080 is great for checking focus. I have a handful of pages I've created for various functions and really like that system. My only real dislike is the remote. I use the monitor with the Sidefinder and would like a more robust remote for scrolling through options. That being said, once I have all of the tools on a page, I rarely change it while shooting. As for power, I usually use 4 batteries on a normal day. I'm a big fan and really want a 702 as well. Rated 5 out of 5 by Mark London from Stop reading reviews and BUY IT. I shoot with an FS7 and GH4. In 2015 I shot a ton of work. How I managed without this excellent monitor i have no idea. I am being deadly serious. Just buy it. Its solid, its professional, if you shoot LOG the LUTs will save your life. The screen quality is fantastic. If I could give it 10 stars I would. Rated 5 out of 5 by Cheng from I will buy this for my FS5 with no doubt. 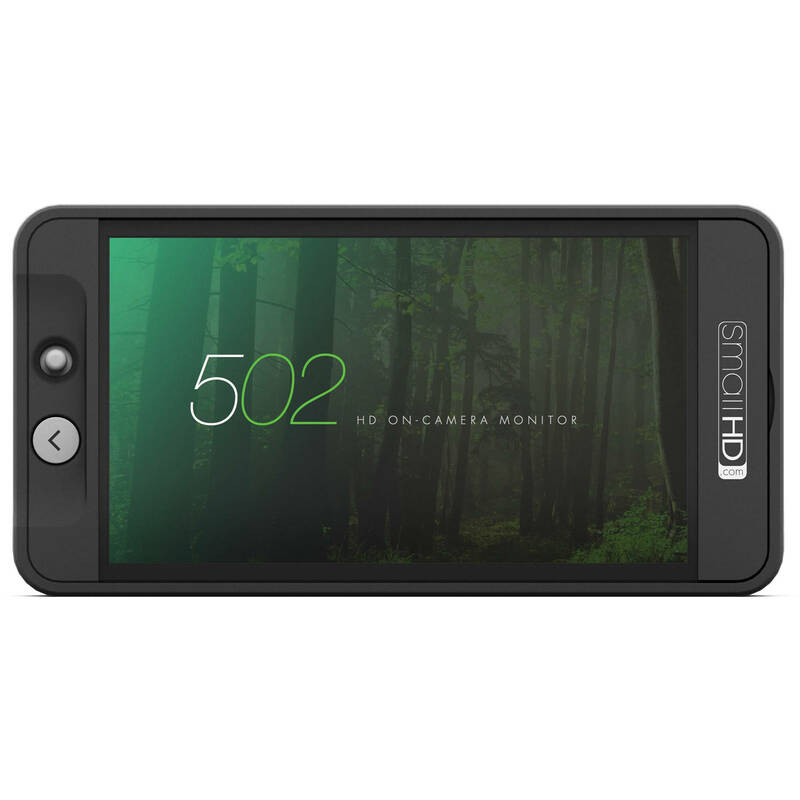 Actually I was struggling between buying this 502 monitor or the Atomos inferno almost 3 months. Yes they are different purpose of device obviously, but the inferno also can record FS Raw with it's very blight monitor. Which is sound better than 502 since 502 only doing monitor. After all I consider and coming works needed, I need to keep my camera portable and lightweight, so I bought 502. 2 weeks used now I want to say I should buy this more earlier. It's amazingly helpful on my A7r2 FS5 and also on gimbal work. You can use any scope you need with a click (of course you need to set it up before) and it's accurate. Moreover since i'm always one man band, so 502 is more suit to my case ( 502 weight likes nothing! ) portable, lightweight and *DURABLE* is more important for me! Rated 5 out of 5 by Francesco Sandon from The best monitor! The right monitor could be a lifesaver on the set! As a DP and camera operator in many indipendent movies and features film I was searching for the right tool and the 502, for me, was the answer. It's lightweight and compact, and this is nice when you shoot with a gimbal or you have an heavy rig. But it also have a lot of useful features to help you with focus and exposure... It's my favourite monitor! According to SmallHD, yes you can use that power cord. Does the anamorphic desqueez loop through to the sdi-out? I'm afraid not. The De-squeezed image will only be available on the monitor, it will not output through HDMI or SDI. Is it possible to power USB accessories from the usb port similar to the DP4 ? The USB is typically reserved for us for maintenance. While there is .5 amp output at 3-5VDC, SmallHD does not recommend powering accessories with it. So while it might work, if you use it and it damages the monitor, the warranty may or may not be honored. Is the monitor in 8 bits ? I can see banding on the screen in HDMI or SDI output with my FS7. Has anyone been able to get the f-stop/ISO line of info from a Canon 5D MKiii to display properly? I rented a 502 and all the settings I tried cutoff this overlay (even when set to less than 100%). If the firmware on both devices are up to date and the DSLR scale is enabled on the monitor, the data should display. Can you change the orientation of the monitor? If it's upside down, will it flip the live image? Yes - the image will rotate orientation. Will this accept a 1080 60p feed over SDI? It will not. 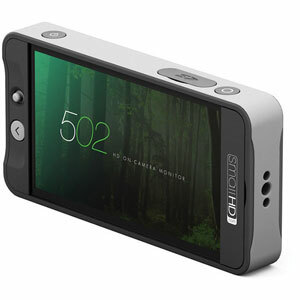 This has an HD-SDI input only, which accepts 1080p up to 30fps for SDI. It does however accept 1080p60 over HDMI. is this compatible with the canon 6d?